Perth, in Western Australia is an interesting city which has remained pretty isolated from the rest of Australia but one that has, over the last 50 years, managed to practically reinvent itself – changing itself from an economy based on manufacturing to one based on the service industries. This is now the focal point for business and government services in Western Australia with many employment opportunities in a range of industries including education, health, retail, wholesale trade, community and personal services, and business services. While to many people Perth isn’t a well known city – Such as Sydney or Melbourne which do tend to *overshadow it* a little, it is interesting that Perth still has one of the highest economic growth rates in Australia. So, despite its geographical isolation, the Perth economy continues to grow and has become the focus and central point of Western Australia. 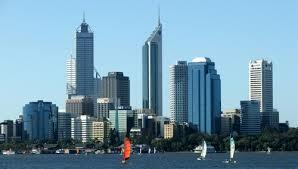 Perth is Australia’s fourth largest and fastest growing city and in 2011 it was ranked as one of the world’s most liveable cities, but on the downside is it the most isolated city in Australia. Perth is also the headquarters for many of the mining industry companies, with many employed by the mining industry research and development, and engineering fields. There are also many good jobs available in healthcare, the finance industry and media. The Western Australia economy is dynamic with many employment sectors looking for both skilled and unskilled workers. If you are looking for work westjobs.com.au is a terrific site with jobs available in all areas and industries, from accounting, banking and finance, healthcare and medical to Legal, sales and marketing and transport and logistics. If you are looking for regional work or work in the city, be sure to take a look at WESTjobs. The mining industry in Western Australia is always looking to fill positions, both skilled and unskilled, often training is provided if you lack skills. The main areas you could find work in includes – drilling, labourers, shift supervising, driving dump trucks, machine operators, and catering and domestic staff. The Perth CBD is bounded by the stunning Swan River to the south and east with Kings Park to the west, St George’s Terrace is the main street in the area which boasts 1.3 million m2 of office space, with many of the entertainment and retail facilities located in Hay and Murray streets. Perth City Council is enticing people to the city with a range of jobs available from horticulture, finance and trade services through to building and surveying, town planning and administration. Offering jobs to suit everyone’s tastes, strengths and skills; while offering the chance for job seekers to expand current skills or to develop new ones. They also offer a range of benefits that include paid parental leave and flexitime. It’s never been a better time to work for the city of Perth! Have you made the move to – or from Perth? Did you find it hard getting work? Did you use a job agency? Have you any suggestions or tips for those planning to make a move to Perth?